In Rochester, we get a little caught up with transcription practices. It’s not [entirely] our fault. The Blakeians at UNC-Chapel Hill focus on Blake illustrations while the manuscript/language stuff gets sent up north. Blake’s often mystifying script surrounds us, and we have been charged (by God, sure) to transcribe our way out, into the promised land of textual clarity. During this process, we think unreasonably hard about impossibly small details. Is that a period or a comma? (What is our policy on commas again?) Is that “d” really there? Am I seeing things? Wait, or did I read it? If you ever wanted to bridge the gap between punctuation and existentialism, textual editing may be for you. 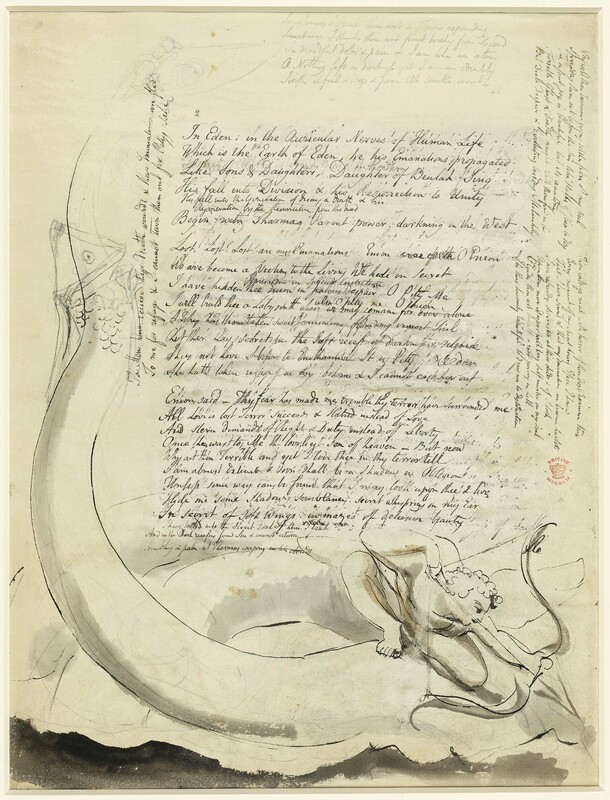 Abandon all hope, ye who read for clarity here: a page from Blake’s unfinished Four Zoas manuscript. 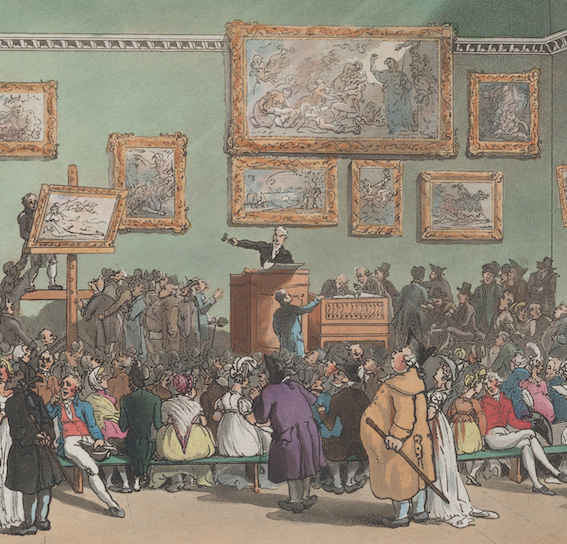 First, we should remember that the Blake Archive is, first and foremost, and collection of digital facsimile editions. Electronic images of Blake works have been painstakingly calibrated to simulate (not “reproduce”) their physical counterparts. In deference to these facsimiles, our transcriptions serve the user as a tool to clarify any difficult reading sections or to assist the image in the simulation of textual data. And sometimes that “simulation of textual data” involves reiterating a difficult reading section, or in other words, affirming its illegibility. The battle cry of Blake Archive transcription is to “transcribe what you see,” which is a nice way of carrying out diplomatic transcriptions. In other words, we want our transcriptions to resemble the physical document. On the spectrum of reliability vs. readability, our stuff leans heavily toward the reliability side. But again, this diplomacy is only in service of a user making sense of the facsimile. So let’s return to those mysterious marks. Is that “d” really there? Well, if it’s clear, we wouldn’t be asking the question. If it’s unclear, we have an <unclear> tag for conjectural sections. If it’s there but has been attempted to be cancelled or erased, we can use a <del> tag. And if there are illegible marks, we can use <gap>. The point here is that the Blake Archive’s MS tag set (as well as TEI) has made numerous provisions for encoding manuscripts that are difficult to read, or even see. So in the current efforts for transcribing something like Vala, or the Four Zoas, I’m starting to feel a bit better. I know that we don’t have to “figure out” the manuscript or make our way to that promised land of clarity. As editors, we need only to recognize various possibilities and create transcription schemas that accommodate space for speculation. We can be OK with unclear.